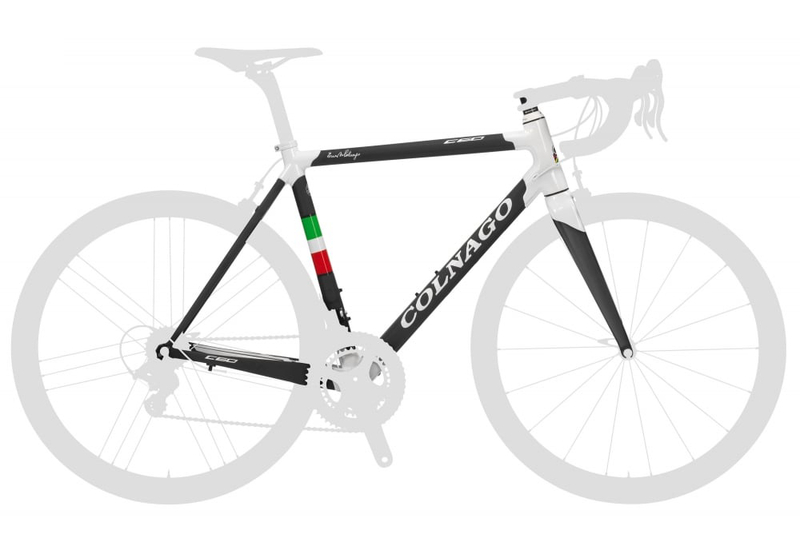 The Colnago C60 frameset is a modern work of art, fully handmade in Italy by artisan bike designers and engineers. Made from high grade carbon fibre, with star-shaped lugs and tubes the C60 takes its inspiration from the iconic Colnago Master frame. With cleverly engineered oversized, thin-wall carbon tubes mated to Colnago’s unique carbon lugs the C60 frameset is stiff at the bottom bracket to allow excellent power transfer while being compliant in the seat stays for added comfort. The rear dropouts have also been completely redesigned, to reduce weight and achieve greater lateral stiffness. This "Dual Use" version of the C60 is compatible with both mechanical and electronic shifting systems. Some frames include the Colnago carbon C60 seatpost which normally cost £199. If included it is stated on the listing. I have a vintage colnago 1978. This frameset gave me the same feelings to me. Fast, stiffness and safe. Thanks to Colnago.